A lot of times folks wonder why one could have money now and it is no more in the next few minutes, hours or days… Many don’t really do any tangible thing with their monthly income before finishing it. Lots collects their retirements funds and squander it in no time on the things that cannot bring them continuous income, they buy liabilities and not assets. Lack of financial management has resulted in broken homes, lives and relationships. It has wrecked institutions and individuals alike. However, the Wisdom of God is not silent about money and if we would listen to what it has to say about money then we can run with that revelation and prosper by it. 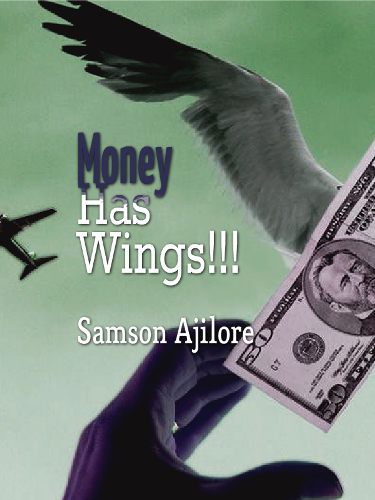 Here is one of the greatest revelations of money in the Bible: “Your money can be gone in a flash, as if it had grown wings and flown away like an eagle” (Pro. 23:5 GNB). You see, now that we know that money has wings, the wisdom is to learn how to cage it so it doesn’t fly away from us. One way to cage money is to always have what to do with it. For example, before you get certain money, you already itemize what to buy with…what wise business to invest it into. And when the money comes don’t delay before doing the things you’ve purposed, otherwise, it will fly away leaving the things undone, money isn’t nice and it doesn’t care about how you feel. Don’t be foolish with money! Do something with that money to cage it and multiply it before it flies away like an eagle. If you don’t know what to do with money, satan will always bring you wrong people and things to help you squander it, so that you can get depressed when it is gone. Never be like those who don’t plan their finances and then keep blaming God for not making them rich. It takes discipline to keep money. It is easier to spend than to save. Set up plans for your money. Don’t go spending to show-off and don’t go borrowing, it will make you a slave to your creditor. “The man of wealth has rule over the poor, and he who gets into debt is a servant to his creditor” (Pro. 22:7 BBE). Be wise! Don’t be idle with money. Ask the Holy Spirit for new lucrative ideas to multiply your money. It is not wrong to have money but it is wrong for money to have you. Don’t be like the rich young ruler who because of the love of money rejected the offer to become an apostle of Jesus. (Mat. 19:16-26). Money isn’t the root of evil, the love of it is! (1Tim. 6:10) Use money, invest it and save it but never love or worship it! Posted on April 20, 2013, in Miscellanous, Rhema and tagged billionaire. riches, financial management, money, prosperity, wealthy. Bookmark the permalink. 2 Comments. I like your write up and i will like us to be friends. Am Loveday dennis…. The president of , LOVEDAY DENNIS GOSPEL OUTREACH….. Aba, Abia state Nigeria. Thanks and more grace. I’m blessed by this article. I just started the journey of building wealth and this message points me in the right direction. More blessings.